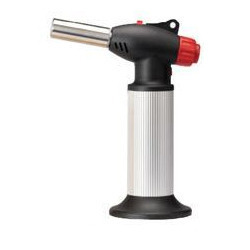 Novanative is prime supplier of Micro Torch also called butane torch, Bernzomatic torch, mini blowtorch, piezo pocket torch, micro jet torch, gas torch, chef torch, cooking torch, jewelers torch, kitchen torch, etc. 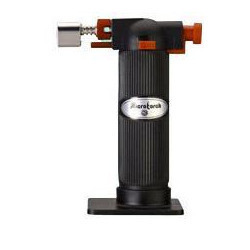 Our butane torch features varied blue torch flame upto 1300ºC with air flow adjustment and accurate flame control. In addition, a base is provided for working on table for best use. 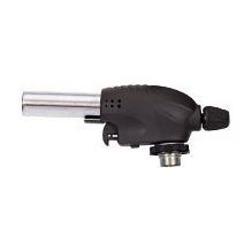 Butane micro torches are useful tool in any industrial setup as being handy, small, pocket size availability, easy refillable with butane gas can. Owing to our expertise, we are offering to our valuable clients an excellent quality Micro Torch - Max. The offered product is manufactured using best grade raw material and latest technology in different specifications for our clients. It is tested on standard parameter in order to deliver defect free products at clients' end. Our offered assortment of this product is available in tamper proof packaging options. We have successfully established ourselves as a prominent name in the market in offering a quality assure array of Micro Torch - Standard. Our offered range of product is available in a variety of designs, dimensions and also as per the given requirements of clients. Further, the offered products are precisely developed to provide easy used. Highly appraised by our respected clients, our offered product is easy to install. 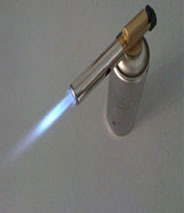 We are leading Supplier & manufacturer of Micro Torch - Eco. We are leading Supplier & manufacturer of Micro Torch - Nova. 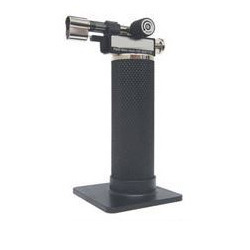 Standard: We have successfully established ourselves as a prominent name in the market in offering a quality assure array of Micro Torch - GB2001. Our offered range of product is available in a variety of designs, dimensions and also as per the given requirements of clients. Further, the offered products are precisely developed to provide easy used. Highly appraised by our respected clients, our offered product is easy to install. 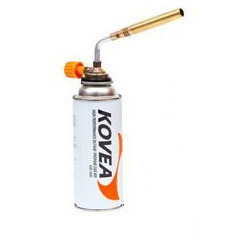 We are leading Supplier & manufacturer of Blow Torch - Kovea. 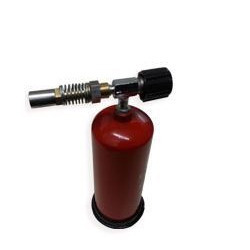 We are leading Supplier & manufacturer of Butane Gas Can Type B. 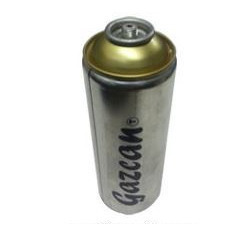 We are leading Supplier & manufacturer of Butane Gas Can Type A. We offering a butane torches for various usages in jewellery making, airconditioning repair, automobile, premoulding die heating, derusting, sold soldering, silver brazing etc. Handy and useful as a tool in any industrial setup. We rule the industry by offering a broad array of Blow Troch– Turbo that is highly appreciated by our valuable customers. Our products are manufactured using high level grade raw material that is procured from the certified vendors. Moreover, these products are used in various industries. We are leading Supplier & manufacturer of Gaylord Cover. Gaylord Covers prevent your raw material becoming contaminated from air born dirt, dust, and other unwanted debris. They do this by keeping your material securely covered within the container. Standard Gaylord Covers have 2.75" wand openings which can be zippered closed if not in use. Other sizes can be provided on request. They also have an elastic sock where the wand is inserted. In addition to the standard sizes shown, we will make special configurations to your precise requirements. We can add larger wand openings for regrind applications, multiple wand openings to your exact specifications and special covers with no wand openings to protect yourstored material in-between jobs. 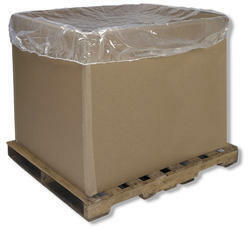 Covers are available to protect part finished goods held in your shipping Gaylord’s.